After finishing the installation of the antenna, I was excited to see the SWR scans. Before the scans were made, the SDA 100 controller was defaulted for a 3-element yagi with the 6 and 40 meter options disabled. 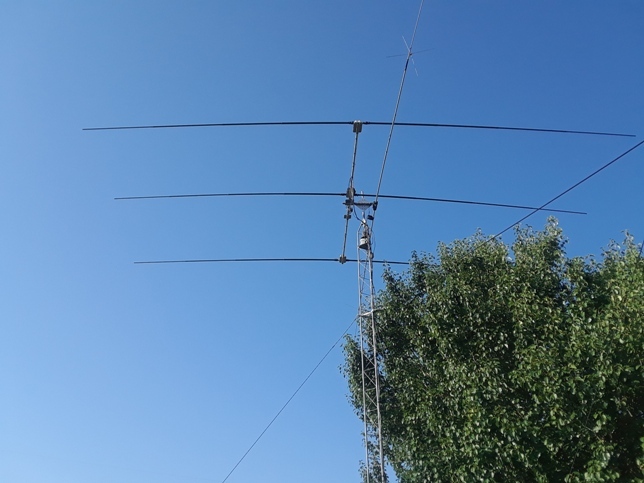 The first band tested was 10 meters. 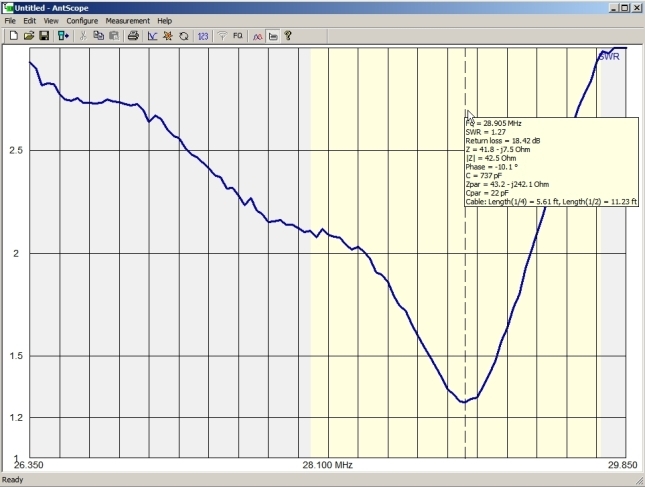 Screenshot 1 – Initial 10-meter SWR scan showing resonance 800 kHz higher than center frequency 28.1 MHz. Seeing the antenna off by 800 kHz was a bit shocking at first but I knew why. It was obvious that the D40 was affecting the SteppIR yagi in a big way. The 15-meter scan was not any better. 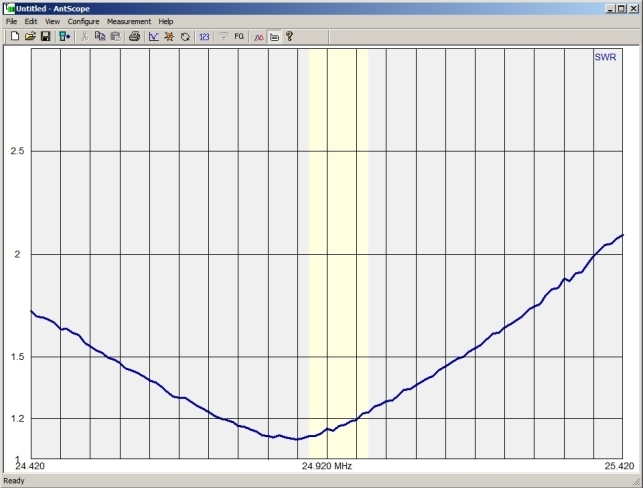 Screenshot 2 – Initial 15-meter SWR scan showing resonance 700 kHz lower than center frequency 21.1 MHz. Readings were better on 17 meters. 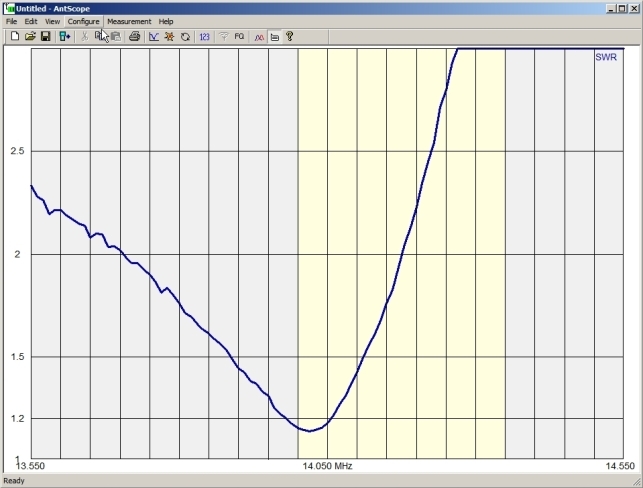 Screenshot 3 – Initial 17-meter SWR scan showing resonance off by only 70 kHz. 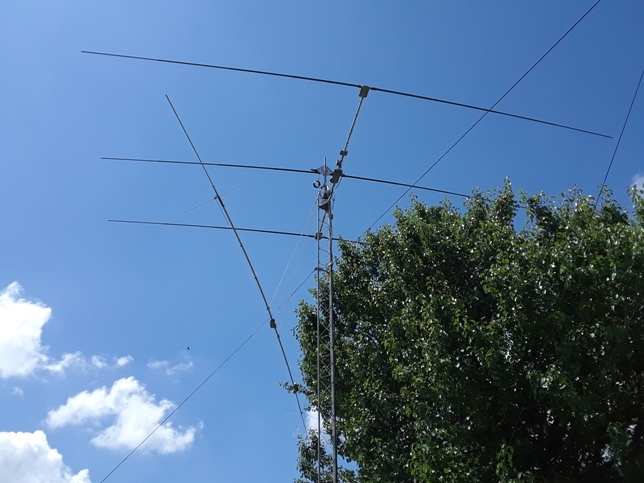 And even better on 20 meters. 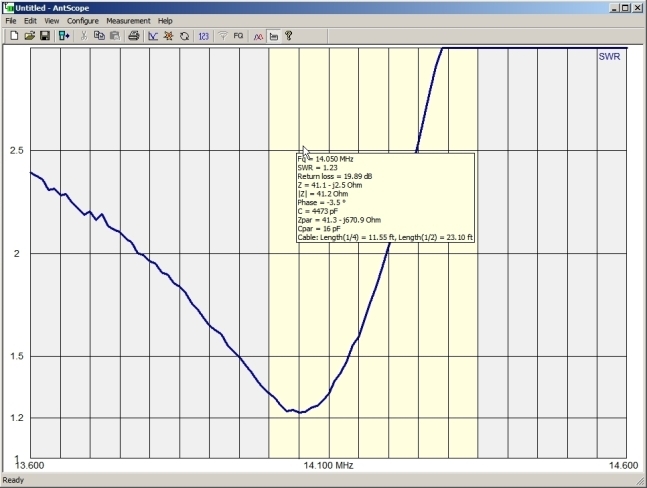 Screenshot 4 – Initial 20-meter SWR scan showing the antenna only off 50 kHz. 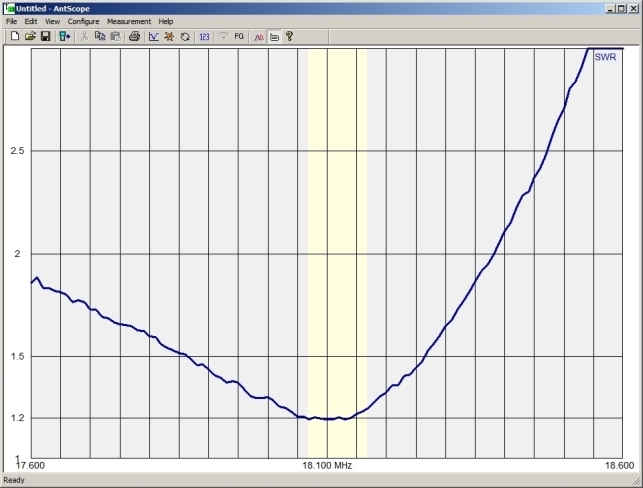 The antenna would not work correctly on the higher bands being so close to the D40. I did see enough to know that the antenna was actually functioning correctly and took some comfort in that. I went ahead and sealed the connector. I first wrapped it with Scotch 33 electrical tape, then Scotch Mastic sealing tape, then again in Scotch 33. This combination always works for me. Photo 1 – Connector taped and sealed. Two days later on Sunday, May 6th, I dropped the D40 down about 15′ and ran another set of SWR scans. 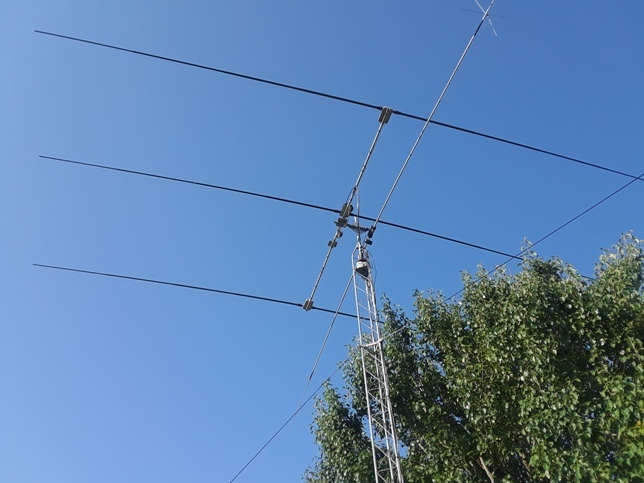 Photo 2 – D40 lowered 15′ below the SteppIR yagi. The scans were much better this time. These are results I can work with. 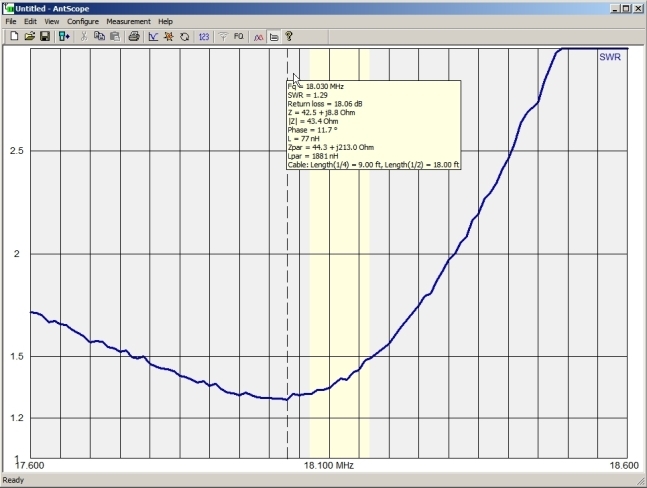 Screenshot 5 – 10-meter SWR scan with D40 lowered. Screenshot 6 – 12-meter SWR scan with D40 lowered. 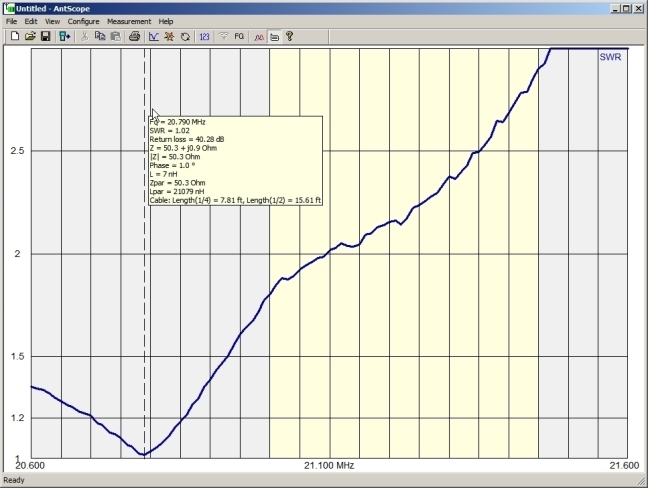 Screenshot 7 – 15-meter SWR scan with D40 lowered. Screenshot 8 – 17-meter SWR scan with D40 lowered. 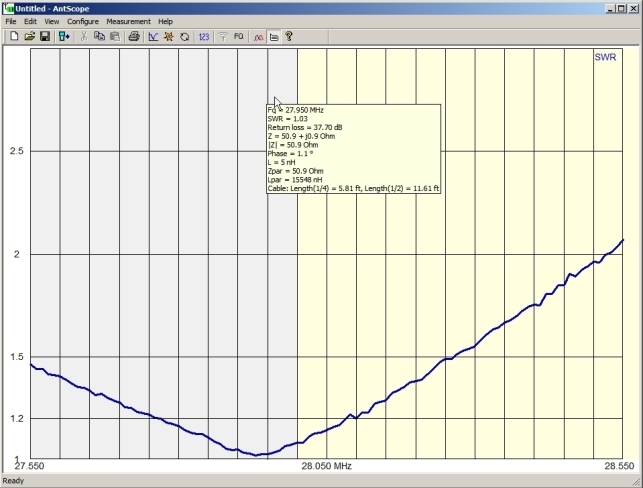 Screenshot 9 – 20-meter SWR scan with D40 lowered. The second set of scans show the antenna works as it should when not interacting with the D40. I brought the D40 back up and re-installed it next to the SteppIR until I can decide where to relocate it. For now it’s much more valuable to me than having the SteppIR working on the higher bands, especially during this part of the solar cycle. 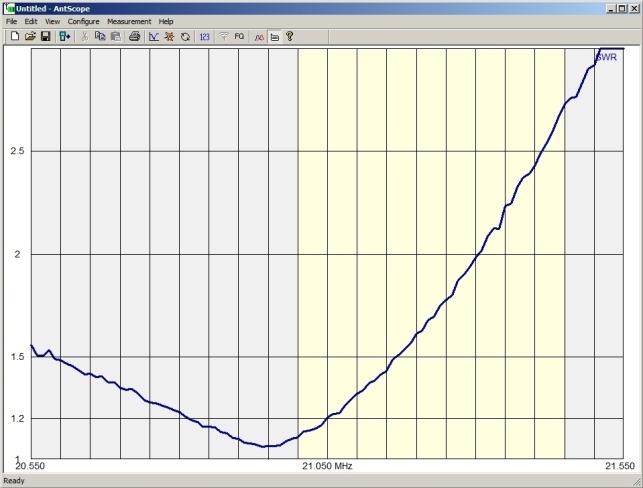 The D40 is a killer antenna for a small suburban lot like mine. 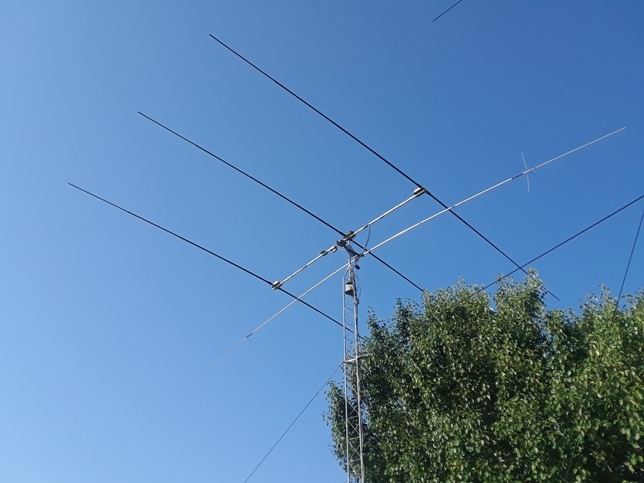 Being caught up in the Grid Chase, I need to have a better-than-average antenna for 40 meters. My initial thought for the D40 is to install it 10′ above the refurbished SteppIR. 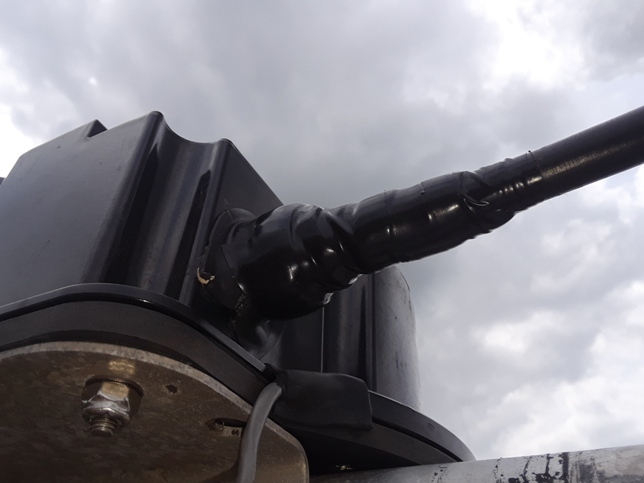 It could be installed on a piece of pipe that is mounted onto the short end of the horizontal mast. If there is still some interaction, I may have to live with it. But that project is for another day. This was a fun project and well worth the time and money spent. 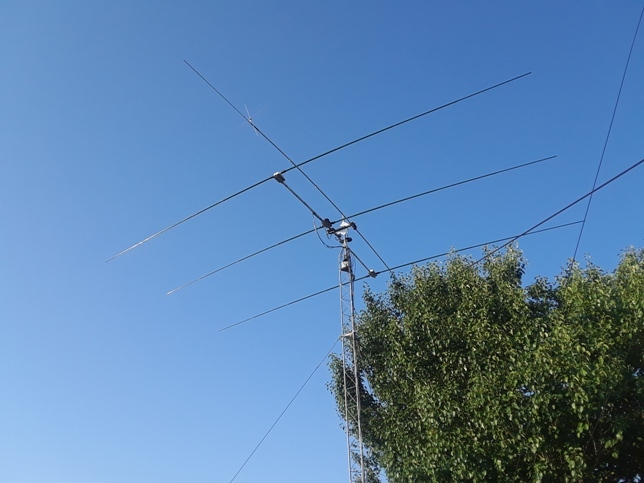 I am grateful to have had the opportunity to increase my knowledge of the SteppIR yagi. It’s an excellent antenna. In the days to follow, I used it exclusively on 20 meters running FT8 and it performed every bit as well as I expect it to. Thanks for reading and watching the videos. I only wish I hadn’t started each video with “OK”.